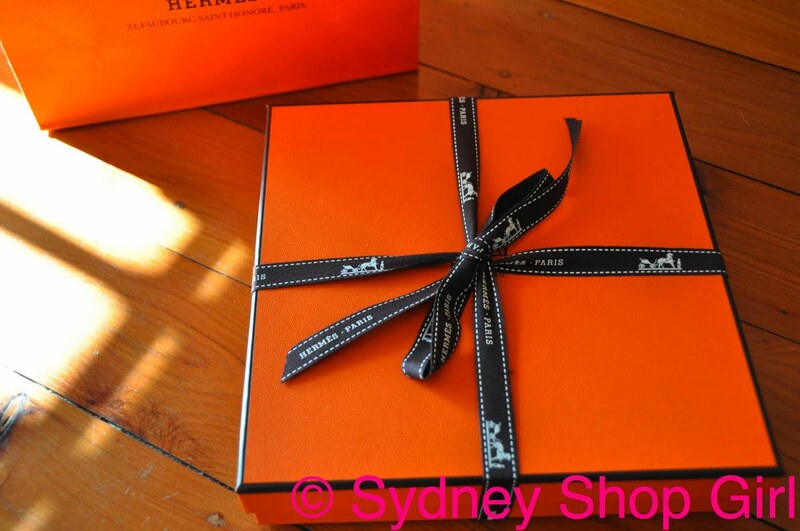 Sydney Shop Girl: 17 Minutes To Say Labor. Other Labours Come To An End, Will Others Ever Start? 17 Minutes To Say Labor. Other Labours Come To An End, Will Others Ever Start? I have to admit, there were moments when I never thought I'd see the day. And it's not just the news that yes, Australia has its first minority government in 80 years. It took 17 days and that final cliff hanging day of 2 separate press conference (a sure sign that the 3 Musketeers were no longer all for one) plus that 17 minute speech from Rob Oakeshott (apparently that's how long it takes to say Labor). I signed the Aviation and Dangerous Goods Declaration with a flourish. 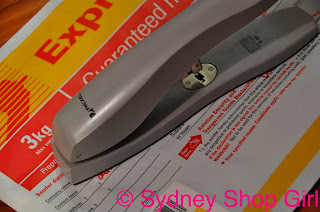 Heavy duty staples aren't a dangerous good for most people (except myself) are they? Won't be mailing the stapler, it has served me well. 2486 words (excluding abstract, tables and references), double spaced and in triplicate. If it gets accepted, I'm about 3 months away from the start of the rest of my life. Which is a scary thought because for once I don't have a definite plan or rather the plan I had hoped for hasn't quite declared itself. The good Mr Stork seems to be having issues with the blue dot on his iPhone. I think it's just the blue dot for our house, to be honest. We live in metropolitan Sydney, Mr DHL and Mr Australia Post have no trouble finding us. It is most perplexing. I feel immense happiness, excitement and joy for the wonderful news for friends and family but at times, this is tempered by my own fear and uncertainty. And that, perhaps, is the best place to leave that thought. I've had a quiet evening pottering around the house. 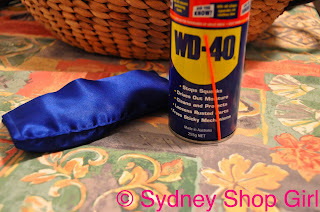 I was a bit tired and achy for a full yoga class tonight, so I practiced at home with the aid of my blue satin eye bag. Then I whipped out my WD40 to attack the front gate again. Spring, it's all about renewal. It is said that backbends are very restorative for the vertebrae and hip joints. 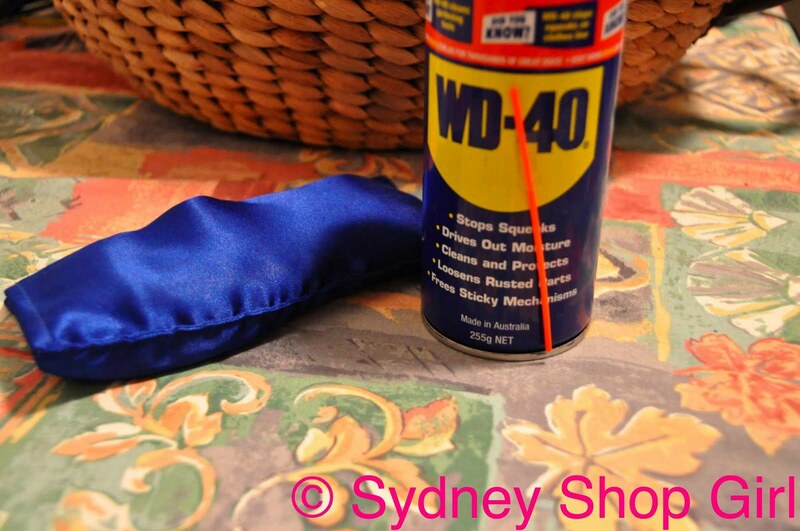 WD40 for the back, perhaps. This little box isn't renewal (or recycled), it's just new. I love blue jean and it's such a lovely colour for spring. 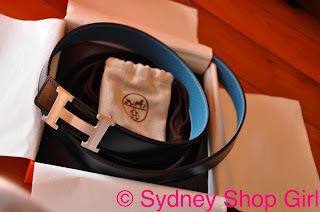 Those clever people at Hermes have thoughtfully made the belt double sided so that women all around the world can justify their purchases (both to themselves and the Minister of Finance of their household) by saying how versatile and practical the belt is. It's really 2 belts in one. A solid argument except that the Ministers of Finance then always ask 'what was wrong with the black belt with a silver buckle you already own?'. Hermes do not include an answer to that in the box. I checked inside the draw string pouch and could only find the belt buckle. I do remember writing about barbecues in celebration of our finally having a PM. I had boring poached eggs and toast for dinner tonight. However, we can talk about other foods made on hot plates, can't we? My favourite Japanese food at the moment has to be okonomiyaki. And not just any kind, Hiroshima's version. I ate them for 3 consecutive meals when we were there (and the we had to make our way to Tokyo otherwise I could have kept eating them for lunch and dinner indefinitely). The Hiroshima version of this 'pancake' dish features stir fried noodles as a base under the fillings that then topped with a thin pancake. 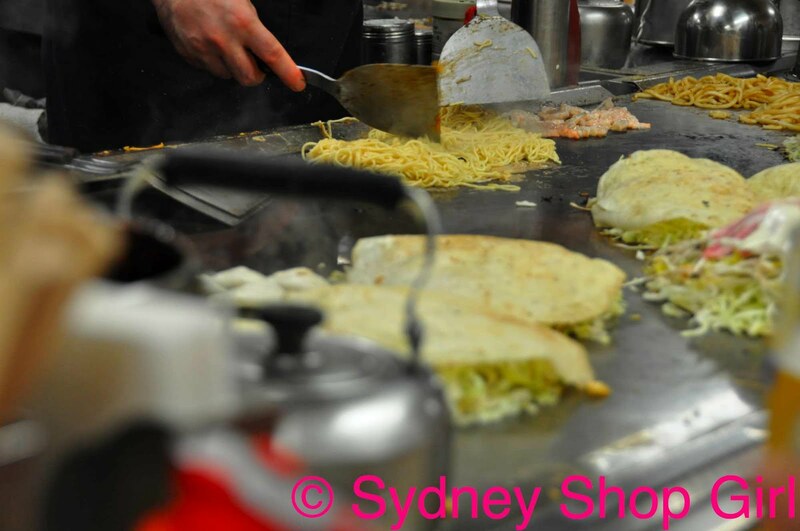 I love the lightness of the vegetables and noodles, the fun factor of the pancake and all that sauce! 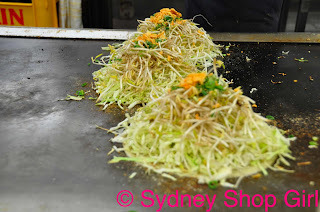 There was a building with 3 stories of okonomiyaki stores and we went, photos to follow in a future post. 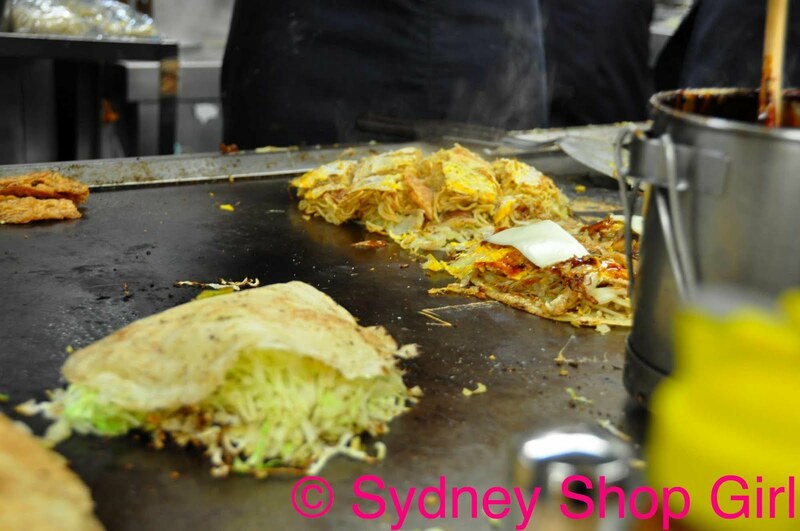 It's an institution and each family run business serves their own version of okonomiyaki. It was the best place to eat them, in my opinion. 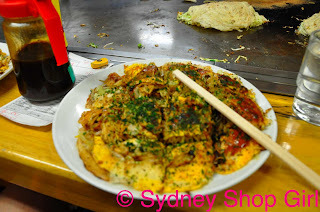 Most of the okonomiyaki restaurants in Hiroshima are small and are set up in such a way that customers sit around the hot plate where your chef makes your pancake in front of you and then skillfully flips it on to a plate for you Edward Scissorhands (except not with scissors) onto a plate or else you eat off the hot plate. The cabbage and bean sprouts get wilted first. 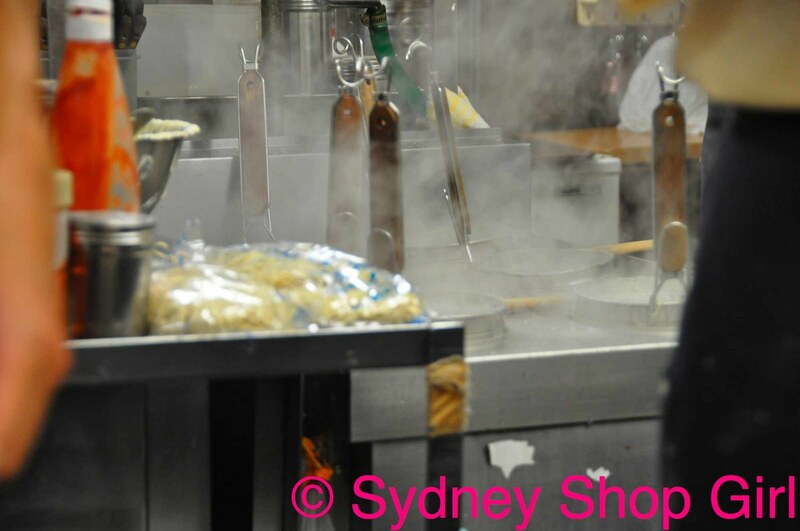 Noodles being stir fried with a pair of spatulas, the spatulas also double up as a sharp edge to cut the pancakes. Amazing what you can do with a pair of these. Cheese is SO GOOD in these. 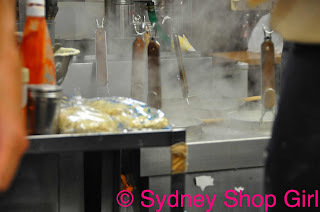 Pork, squid, prawn and egg are traditional fillings. Politics and government need to be more accountable, I think many voters feel a sense of helplessness....and confusion. And far too many cynical people who do not go to the polls. At least you have it sorted out now...but 17 days is a long time to be left in limbo! Thanks for all the enablement re belt! Interesting post from an interesting time in our history - and yours!